Manhattan District Attorney Cyrus R. Vance, Jr., today announced with the U.S. Department of Justice (DOJ) the resolution of a joint investigation into the criminal conduct of ING BANK, NV (ING), a Dutch bank, and the payment of $619 million in penalties and forfeiture to resolve the matter. 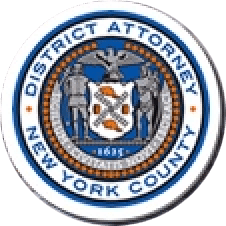 In a Deferred Prosecution Agreement (DPA), ING admitted violating New York State law by falsifying the records of New York financial institutions. ING moved billions of dollars through the U.S. financial system on behalf of Cuban and Iranian clients in violation of U.S. sanctions by concealing the illegal nature of these transactions and deceiving U.S. banks into processing illegal wire payments. Pursuant to the DPA, ING has agreed to adhere to best practices for international banking transparency, implement procedures and training designed to ensure U.S. sanctions compliance, and pay $619 million in penalties and forfeiture. Half of that amount, $309.5 million, will be paid to the District Attorney’s Office and then distributed pursuant to New York State Law. The other half will be paid to the United States. The two-year investigation was conducted jointly with DOJ’s National Security Section and Asset Forfeiture and Money Laundering Section, as well as the National Security Section of the United States Attorney’s Office for the District of Columbia. District Attorney Vance recognized the substantial contributions of OFAC, which conducted its own investigation, the Internal Revenue Service-Criminal Investigation, and the Federal Bureau of Investigation. The U.S. government restricts certain countries, including Iran, Sudan, Cuba, Burma, as well as entities and individuals from those countries, from accessing the U.S. banking system. OFAC is charged with administering these economic sanctions against targeted foreign countries and regimes, terrorists, international narcotics traffickers, those engaged in activities related to the proliferation of weapons of mass destruction, and other threats to the national security, foreign policy, or economy of the United States. Sanctioned financial institutions, countries, and individuals generally are prohibited from accessing the U.S. financial system. Banks in Manhattan, which process most of the world’s U.S. dollar payments, use sophisticated computer systems commonly known as “OFAC filters” to prevent sanctioned entities, as well as terrorists, money launderers, and other criminals, from gaining access to the U.S. banking system. These OFAC filters act as the first line of defense to protect the U.S. financial system. ING helped its sanctioned clients, predominantly from Cuba and Iran, evade U.S. banks’ OFAC filters and illegally gain access to the U.S. financial system. As detailed in the DPA, beginning in the early 1990s and continuing through 2007, ING systematically violated both New York State and U.S. law by moving billions of dollars illegally through banks in Manhattan on behalf of Cuban and Iranian clients subject to U.S. sanctions. ING committed this criminal conduct by, among other things: (1) processing U.S. dollar payments on behalf of sanctioned customers without reference to the payments’ origin; (2) deliberately using a less transparent method of payment messages, known as cover payments; (3) eliminating any payment data that would have revealed the involvement of sanctioned countries and entities, including Cuba and Iran; (4) advising sanctioned clients on how to conceal their involvement in U.S. dollar transactions and evade OFAC filters; and (5) providing U.S. dollar trade finance services to sanctioned entities through misleading payment messages, shell companies, and the misuse of an internal ING suspense account. ING’s conduct caused unaffiliated U.S. financial institutions to process transactions that otherwise should have been rejected, blocked, or stopped for investigation pursuant to OFAC regulations. This conduct occurred within ING Bank locations around the world, with the knowledge, approval, and encouragement of senior corporate managers and legal and compliance departments. District Attorney Vance emphasized that while today’s DPA was designed to impose a substantial punishment on ING, and to send a strong message of deterrence to other banks, important mitigating factors led to the agreement to defer prosecution. Those factors included the fact that ING cooperated throughout the investigation and devoted significant resources to both its internal investigation and the investigations conducted by the District Attorney’s Office and DOJ. ING also fully acknowledged and accepted responsibility for its conduct, and voluntarily undertook a series of remedial actions before entering into the DPA. Moreover, ING exited the sanctioned entity clearing business voluntarily before being contacted by the District Attorney’s Office. The Manhattan District Attorney’s Office previously has reached Deferred Prosecution Agreements with Barclays, with a penalty of $298 million in 2010, Credit Suisse for $536 million in 2009, and Lloyds Bank, with a penalty of $350 million in 2009. Since 2009, four banks, including ING, have forfeited in settlements approximately $1.8 billion for their illegal conduct, with half of the funds being paid to the City and State of New York. The ING case was investigated and prosecuted by Assistant District Attorneys Sally Pritchard and Garrett Lynch, Senior Investigative Counsel, and former Assistant District Attorney Aaron Wolfson, under the supervision of Polly Greenberg, Chief of the Major Economic Crimes Bureau and Adam Kaufmann, Chief of the Investigation Division. Former Investigative Analysts Aaron Davidowitz, Sarah Schoknecht, Samantha Gillespie, former Trial Preparation Assistant Pope McCorkle, former Investigative Analyst Marguerite Colson, and Trial Preparation Assistant Lewis McCorkle assisted in the investigation. District Attorney Vance also thanked the following agencies and individuals for their assistance in the investigation: Assistant Attorney General Lisa Monaco, Chief of the National Security Division of the United States Justice Department, Trial Attorney Jonathan C. Poling, and Steven W. Pelak, Deputy Chief, Counterespionage Section; Ronald C. Machen, U.S. Attorney for the District of Columbia, Assistant U.S. Attorneys Ann H. Petalas and George P. Varghese of the National Security Section, and Gregg Maisel, Chief of the National Security Section; Assistant Attorney General Lanny Breuer, Chief of the Criminal Division of the United States Justice Department, Trial Attorney Matthew Klecka, and Jennifer Shasky Calvery, Chief of the Asset Forfeiture and Money Laundering Section; James W. McJunkin, Assistant Director in Charge of the FBI Washington Field Office; Richard Weber, Chief, Internal Revenue Service-Criminal Investigation, and former Chief of the Major Economic Crimes Bureau at the Manhattan District Attorney’s Office; and Adam J. Szubin, Director of OFAC, and Dennis Wood, Assistant Director for Compliance, Outreach & Implementation at OFAC.